Tops MAK-7 - Military Assault. Black and white G-10 handles. 12 1/4" overall. 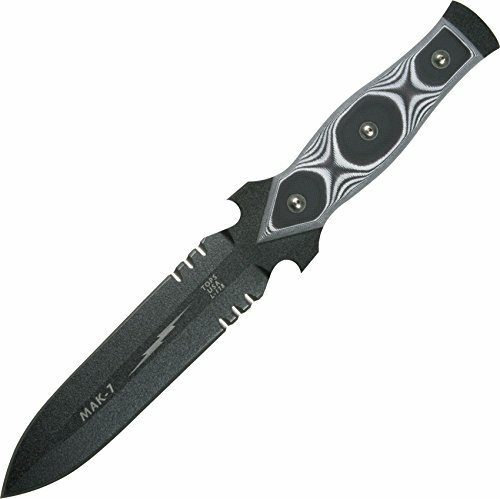 6 1/2" double edge 1095 high carbon steel dagger blade with black traction coating and serrated sections on top and bottom. Full tang with extended tang end which may be used for a pry bar/splitter. Black ballistic nylon belt sheath with additional front pocket for sharpener.